Question: Which black trim do you like better at the back of this 1870s dress - larger or smaller? 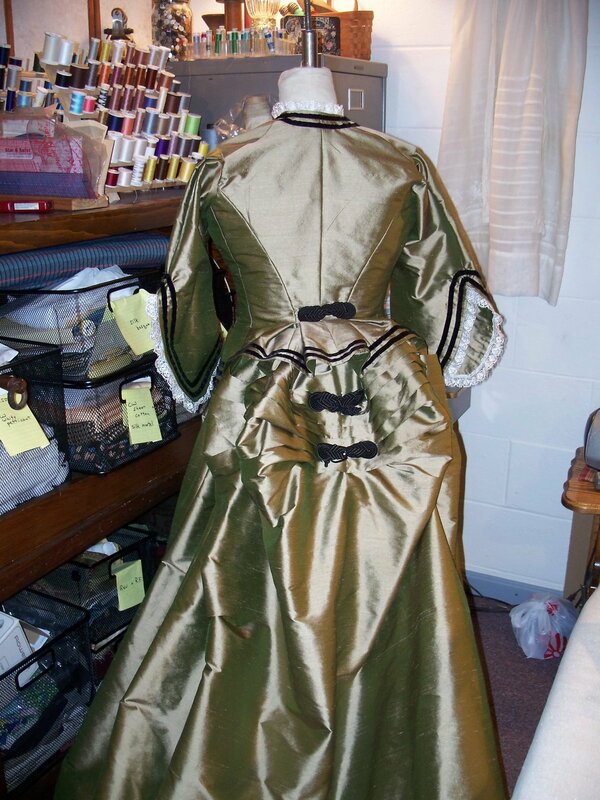 My mother is making this lovely 1870s dress to wear this weekend. We had planned to put the larger trim at the back of the bodice, bustle of the skirt, and then continue it between rows two double rows of black velvet trim at the bottom of the skirt. Do you like the larger or smaller trim? I would greatly appreciate your opinion! I promise to show more pictures of the dress after this weekend! Definitely larger! The smaller trim gets lost, in the pictures at least. 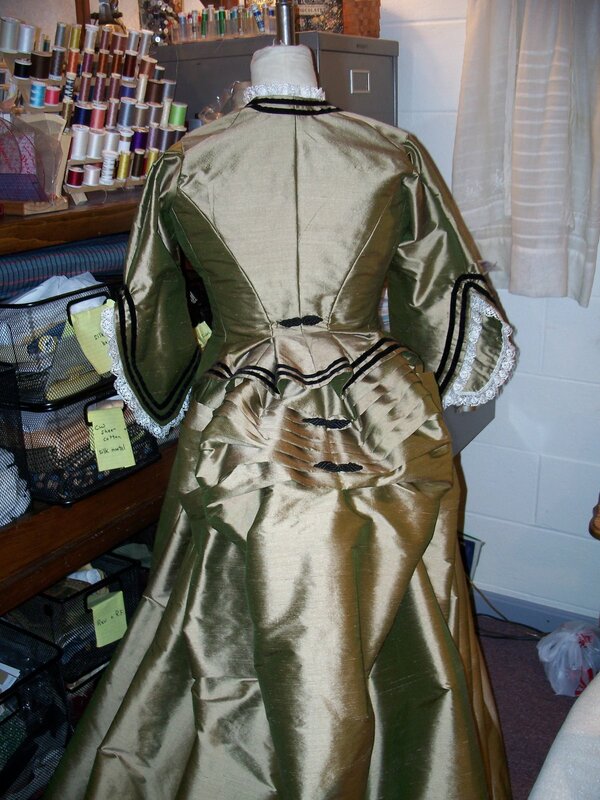 The larger trim works better with the proportions of the dress. (I'd almost go bigger than the big trim, even.) The dress looks beautful! LARGER!!! The smaller just gets lost. Going to be a gorgeous gown by the way! Definitely larger! And I loooove the poofs you have going at the back, they are just spectacular! Larger! The 1870's liked to play with all the foo foo (I call it). Have fun with using big trims. Yup, I agree with everyone else. The larger looks much nicer and the smaller seems to get lost. It's beautiful and I can't wait to see more pics! Thanks Everyone!!! I really appreciate all of the input! Mom changed them to the larger size! I'll be sure to post pictures of the finished dress soon!